November 28, 2016 – SkyPixel, the world’s largest community dedicated to aerial photography, today released its top picks of aerial photos taken by photographers and drone enthusiasts from around the world. These 10 photos were considered to be some of the best works submitted to the SkyPixel 2016 Photo Contest thus far. The SkyPixel 2016 Photo Contest is still accepting entries and will continue to run until December 30, 2016. Photographs from any type of aerial platform are welcome and participants can submit as many photos as they like throughout the contest period. Participants can choose to take part either in the Professional category or as an Enthusiast (i.e. those that do aerial photography as a hobby). The contest is in partnership with TIME, Condé Nast Traveler and Fstoppers, who have provided esteemed judges and photography experts to evaluate the entries. 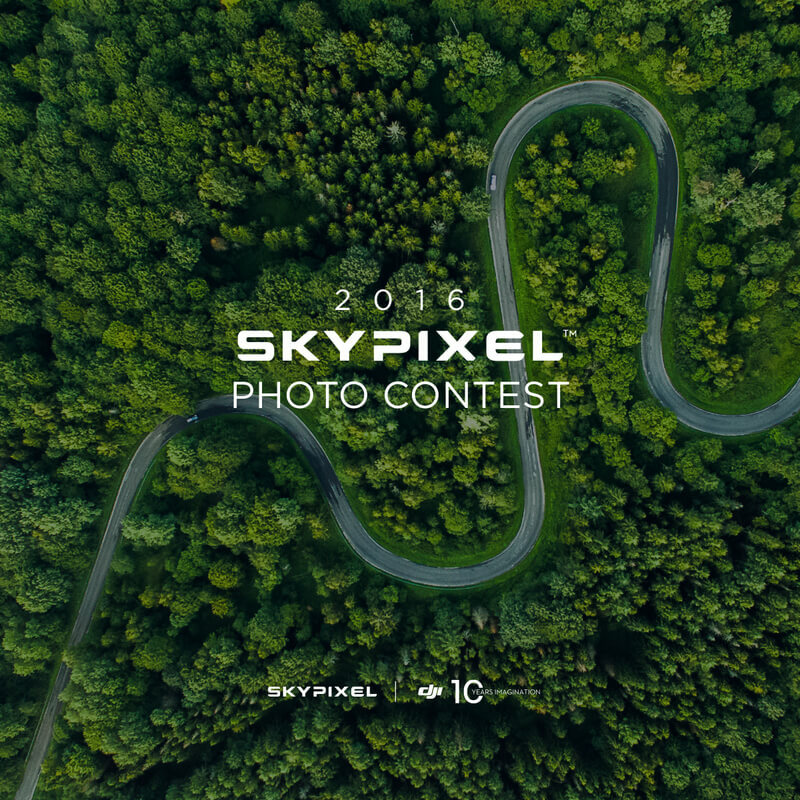 The SkyPixel 2016 Photo Contest is sponsored by DJI, Epson, Adobe, Insta360 and Ctrip. The grand prize, valued over USD 5,500, includes the recently released Inspire 2, Phantom 4 Pro, Mavic Pro and Epson Moverio BT-300 smart glasses. Other fabulous prizes include the DJI Phantom 4 Pro, Osmo, Osmo+, Osmo Mobile and the 'Above the World: Earth Through a Drone’s Eye' coffee table book. 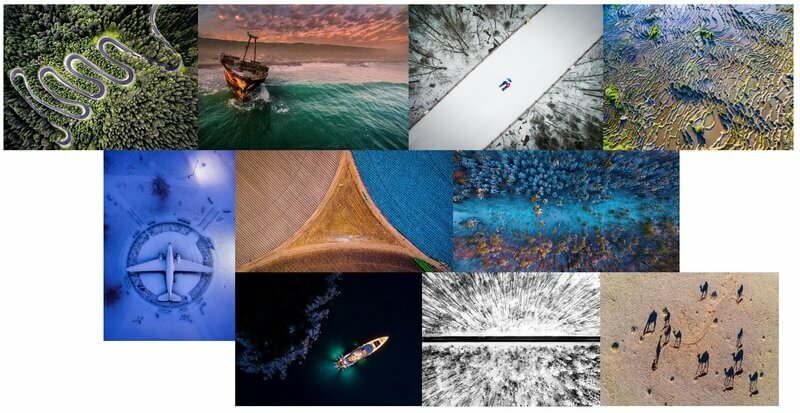 The SkyPixel 2016 Photo Contest joins DJI’s 10th Anniversary Celebration to highlight the spectacular images that aerial technologies can create. The goal is to show the world why aerial imaging is the next evolution of photographic art and showcase new talents from around the world. Note: Media who would like to feature any of the photos below can do so with credits to the original photographer and a link to the original image or to www.skypixel.com. Photographer name and description on next page. A bridge caked in snow in New Hampshire was the perfect opportunity for Manish Mamtani and his wife, both wearing bright clothing, to create a contrasting “dronie” (selfie taken by drone) against the monotonous white winter cold. Rice terraces are more commonly synonymous with Bali, but the man-made phenomenon also occurs throughout Asia, as user 225158586 showcases the presence of this unique feature in Fujian through aerial means.